Surrounded by outstanding countryside, Innerleithen caters well for holiday-makers not only with a selection of interesting shops, friendly pubs and small restaurants, but also with tourist attractions and for the more active there is a multitude of lovely local walks and bike rides. Click on image to see more. 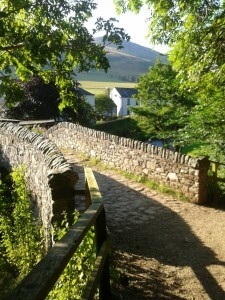 Innerleithen and the Scottish Borders have so much to offer we can’t possibly list them all here, but you will find extensive information at Cosaig self catering holiday house to help you plan your holiday – see our local information and upcoming local events pages for more ideas before you come to visit.